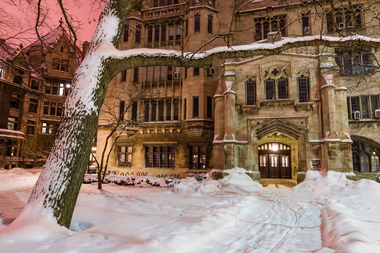 Online attackers have twice targeted the University of Chicago in the last month. HYDE PARK — The University of Chicago has faced concentrated online attacks twice in the last month. On Jan. 7 and Jan. 8, someone tried to take down the university’s virtual private network, which provides secure access to restricted resources on the university’s network from off campus, according to the university’s information technology services department. The attack used a relatively common denial-of-service method, according to the university. The style of attack tries to overwhelm the network and possibly shut it down by calling on too many system resources at once. University engineers reported that they were able to successfully block the attack by Jan. 11. Sainvilus said the attack is now over. “The service remained available to authorized users throughout, and no unauthorized access occurred as a result of the attack,” she said. Sainvilus said law enforcement is not involved.